Published on November 9, 2014 by Martyn. Be the first to comment! I’ve never visited Alaska, unless you count a two-hour wait in the transit lounge at Anchorage airport en route from London to Tokyo many years ago. But it seems one of my books has made it there. 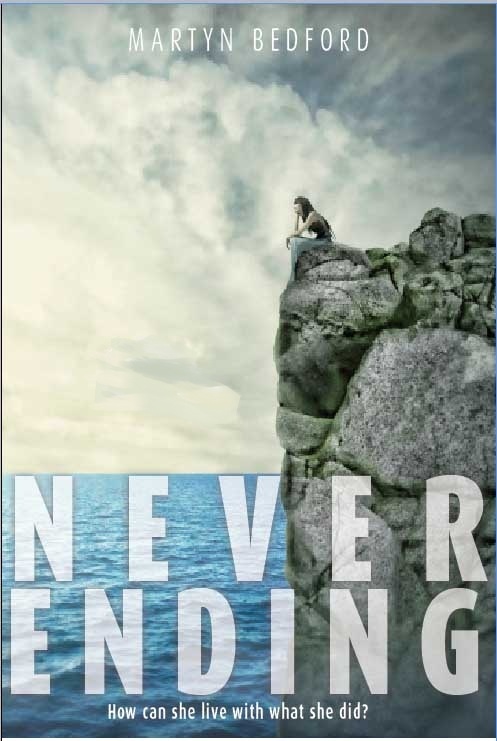 The U.S. edition of Never Ending has received a rather nice review in the Juneau Public Library Blog‘s recent round-up of YA fiction. Fifteen-year-old Shiv and her 12-year-old brother, Declan, spend their holiday in Greece with their parents. Shiv’s romance with 19-year-old Nikos becomes the catalyst for a sequence of events that ends with Declan’s death. Shiv, unable to deal with the trauma and her guilt, eventually ends up in a psychiatric clinic utilizing new techniques to help teens caught in this state of guilt, pain, anger and depression. The story alternates between Shiv’s time at the clinic and the back story that brought her to the clinic. The weaving is well done creating suspense as well as heartbreak in the reader. The back story shows us to know and love Declan as well as Shiv and to ache for both of them. The characters are complex, the story full of sadness and pain but not without hope. This is a compelling story that takes us into the dark world of loss but with such skill that being there seems a gift to the reader.